The Blunderer – loudlatinlaughing – Euge! Euge! 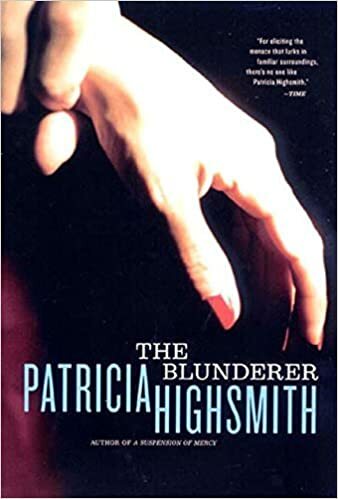 More murder from Pat Highsmith, this one an early gem from 1954. She begins with a gruesome killing, a man sets his alibi by going to a movie and making sure to say hello to someone, then exiting the theater to follow the bus his wife is on, viciously killing her at the rest stop. A blurb about the murder comes out in the paper and is collected by Walter, a lawyer who writes essays about human relationships for fun. Later, he thinks about doing just that (killing his wife at a rest stop) but she ends up suiciding from a cliff at the rest stop instead, casting suspicion onto him. The original murderer starts to face intense scrutiny, ends up killing Walter and being taken into custody for the two murders. Not great, but not terrible.